I don’t know how I haven’t been here before, to visit and follow! Well, I am now. 🙂 have a great day! Hi! I’m so excited to find your site. Great blog! I’m inspired to decorate and organize. 🙂 I was wondering, do you still do the facebook hop? I’m trying to increase my fan base and came across your hop but I see the last one posted was back in July. Kristen, please know I will be praying for your beautiful son and your family. God loves you all ! Hi Kristin, how are things going with your kitchen? I was so sorry to hear about the water damage and devastation. You have had a lot to deal with this year. I hope you have worked something out with the insurance co. and are moving on in the process. Hi Kristin! I just thought I would let you know that when you sign up for your linky party, when you go to put in the title it hardly lets you put in any letters for the title. I never used to have that problem when linking up to you. So when you see my Halloween Wreat instead of wreath, that is why lol! Hi Kristin, I am looking for a countertop and I really like the Taj Mahal you chose for your kitchen. What company did you purchase it from. I have see a few Taj Mahal samples from different manufacturers and they look different. Were you able to pick the slab ? My cabinets are a creamy color would this be a good fit.? Is it quartzite or quartz? We purchased it through a company up in Los Angeles, they gave us contractor rates. (where do you live?) It is quartzite and I liked it because it had warm tones that we needed since our flooring is warm. This would also be perfect with a cream color cabinet. They had lots of slabs to choose from, we had them pull all the ones we liked and we picked our favorite, being a natural stone, each slab does vary. 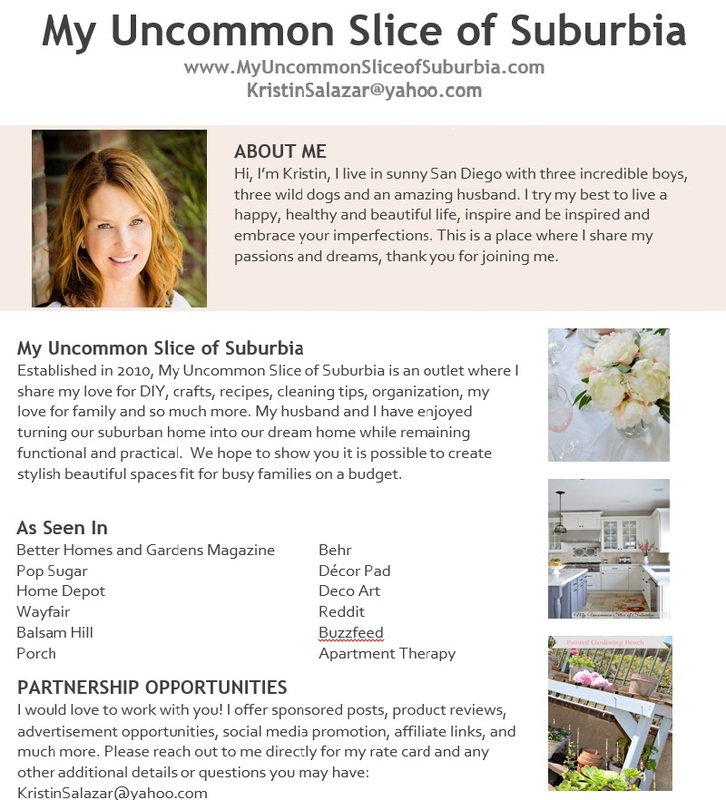 Kristin, thank you for allowing me to link to your blog!